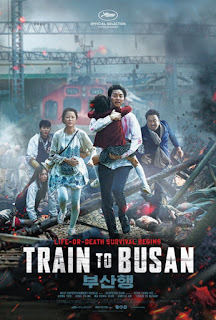 TRAIN TO BUSAN is a thrill ride you need to catch! The zombie genre is a funny thing. The concept of the dead coming to life to feast on the living has been done to redundancy. Every possible idea has been thoroughly explored on the big and small screen. Ever since the first RESIDENT EVIL movie came out back in the olden days of 2002 there has been a nonstop wave of zombie films of all ranges of quality. Some good. Most bad. Just when you think the genre is being laid to rest, another clever, well made movie or show comes out and inspires a whole new generation of movie makers to go out and make their own cheap knock-off. SHAUN OF THE DEAD or THE WALKING DEAD are great examples of this phenomenon. Now the WALKING DEAD's ratings are slipping. All the newly made zombie films are not getting bought up in film markets. If they are lucky they might end up on Chiller T.V. or the SYFY Channel. 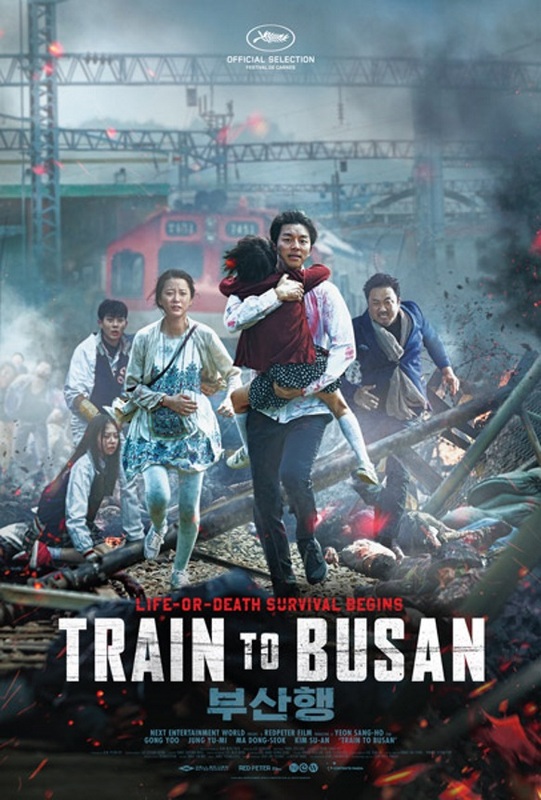 Yet just when you think the movement is over, here comes TRAIN TO BUSAN to reanimate the whole genre once again. I don't care. I like zombie movies and I really liked TRAIN TO BUSAN. Even though I am a die hard fan of zombie movies, I think even the most casual fan of horror or movies in general will like this movie. It is a bit unique. 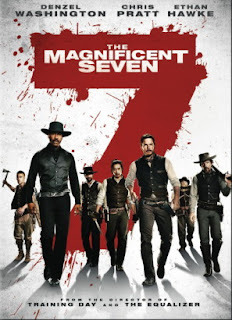 THE MAGNIFICENT SEVEN (2016) When is a remake not a remake? Well they did it, didn't they? They finally did it. The Hollywood Remake machine has finally claimed another American classic. Never in my wildest dreams would I have believed they would have the tenacity to attempt to redo a nearly perfect classic film. How much more taboo can you be? The film that I am talking about of course is WORLD GONE WILD. The post apocalyptic action western starring Bruce Dern is about a hippie from the sixties living in a world ravaged by nuclear warfare. He lives in a small settlement of peaceful pioneers in the desert who find themselves under threat of Adam Ant and his cult of followers. Out gunned Bruce Dern goes out and recruits about five other tough guys who manage to fight back and save the town from the weirdo attackers. Of course the most memorable moment in the film is when Bruce Dern kills a bad guy by flipping a hub cap into his throat with the flick of a stick. Oscar worthy and totally possible in real life I am sure. Of course I am being silly. Yes, WORLD GONE WILD is a remake (or homage) of the classic western, THE MAGNIFICENT SEVEN, which was a remake of the classic samurai film, THE SEVEN SAMURAI, directed by Akira Kurosawa. But we are here to review the new Denzel Washington film directed by Antoine Fuqua. I bring up WORLD GONE WILD to make a point. 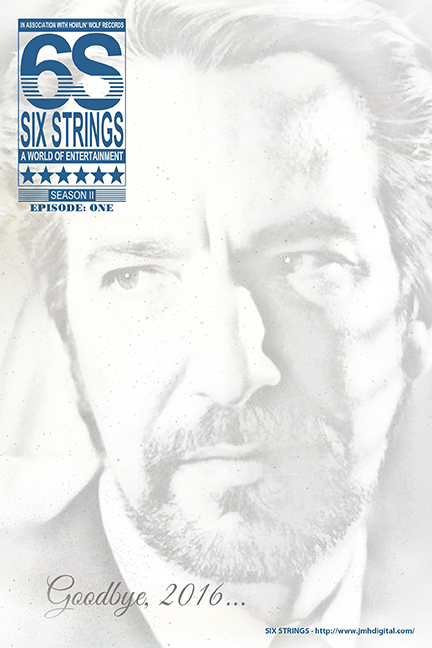 WGW has the spirit of the original as well as some lines of dialogue and some visual cues as well. THE MAGNIFICENT SEVEN 2016 only has a few lines of dialogue from the original. The spirit of the original is completely absent from the new film. The new MAGNIFICENT SEVEN barely even qualifies as a remake. I would argue that it is not a remake at all, but just another "Men on a Mission" movie. However, the idea that this is not a remake does not make the new movie better. There is no fresh or new approach to the material. CLICK HERE TO READ THE REST!